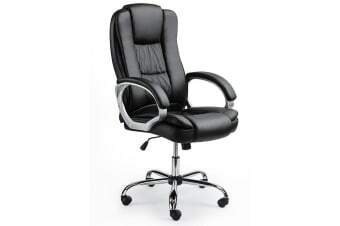 The Avante Premium Executive Office Chair is the winning addition to any office. Its ergonomic design provides superior lumbar and back support that allows you to work at your peak for long periods of time in optimal comfort. It features a sturdy base with 360° swivel caster wheels. It offers thick comfortable padding in its seat, back and arm rests. The double-stitched upholstery crafted from premium PU leather ensures optimal durability and easy cleaning. With generous height adjustment offered by the SGS approved Gas-Lift system, you can customise the Avante to suit you ̶ plus it’s conveniently designed to fit under a standard sized desk. 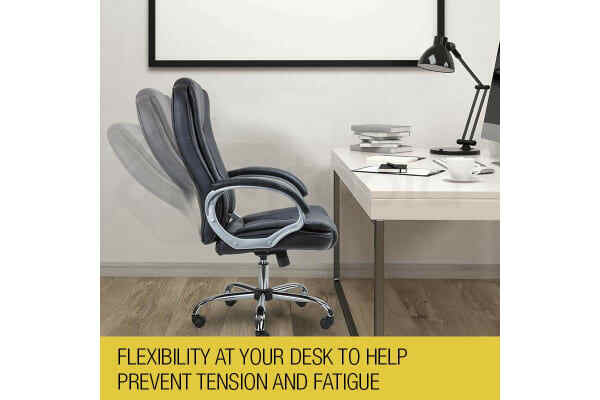 So take the stress out of work and experience superior comfort at your desk - order your Avante Premium Executive Office Chair today!